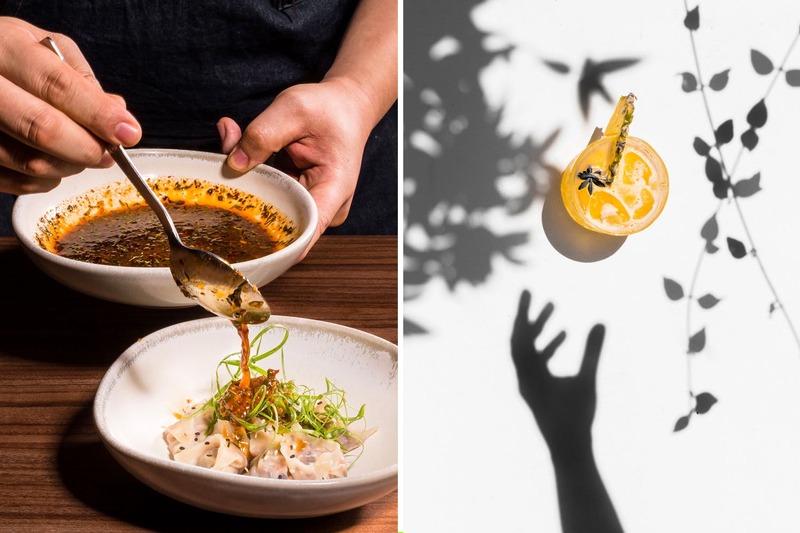 In a brand new avatar, One Street at Bandra, a gastropub helmed by Kevin Cheung (Corporate Chef, F&B Director, Aallia Hospitality) has now set shop above its sister concern, Bastian, on Linking Road. With a whole new menu and interiors that scream “Set off on a holiday”, the eatery is all set to charm the pants off one and all with its take on classical American dishes. Aallia Hospitality’s in-house design team decided to go big with this one, wanting to transform the interiors to take you on that well-deserved holiday, albeit in the city. Staying away from Bastian’s vibe (exclusive & fine-dine), the palette chosen was a sun-drenched tropical theme of leaf patterns of different shades in different corners of the eatery. With two separate bars having different themes and mood lighting, it’s the perfect place to unwind and taken to that special place. The new menu focuses on innovative bar snacks and classic favourites, ranging from gluten-free to even vegan. Dig into pork spare ribs, vegan nachos, chilli dumplings or even the sweet and sprout (sprouts, sweet potato butter, sour cream, almonds, radish & beets). There’s an entire section dedicated to wings, listed in chronological order to donate spice levels. Those with less tolerance to spice can order the ‘Canadian eh’, with maple syrup gastrique, roasted garlic, thyme and black pepper; or ‘Korean wings’ with sweet soy, sesame seeds and chilli. Kicking spice levels up a notch are ‘the ranch is on fire’, with cayenne, paprika, crème Fraiche, and fermented, house-made sriracha; and smokey the bear, with house-made smoked Carolina barbecue sauce. If you’ve got that steel stomach, you can opt for ‘naked and hot’, with ghost chilli powder and blackening spice; and ‘wet ghost’, with house-made smoked and fermented ghost chilli sauce. Vegetarians can try paneer options, offered in the same preparations. You can also dig into burgers like the mac shroom or the classic animal; you can choose the way you want it. For all of us who have that sweet tooth, there’s great news – Chef Kevin’s brought back his famous ‘rocky road’ dessert that you just gotta try. The One Street bar menu features a mix of originals created by Arijit Bose, as well as a wide variety of cocktails inspired by Chef Kelvin’s extensive travels. The new menu also offers imported craft beers and a wide selection of gins. Apart from the extremely relaxing décor, the food stands out for us – in terms of taste, presentation and likeability. Not just that, they cater to conscious vegans, thoroughfare travellers and even those who just can’t enjoy gluten – there’s something for all of us.